Ed Sheeran is one of those nice, calm and friendly young men that make you believe in the world again. He's not a rapper and he doesn't have tons of jewelry on himself. Nor is he a rock-star who breaks guitars on the stage on a regular basis and drinks Jack Daniels like it was water. No, he's just a super-talented and modest singer-songwriter, who the music industry was waiting for for a very long time. You could say that he happened to be at the right place at the right time, and you would be partially right, but come on - the guy's music is truly amazing! So, if you love building Lego Houses as much as this guy does or just appreciate quality music, check out the following awesome facts about Ed Sheeran, a 100% self-made man who won over our hearts with honesty and dignity. - He came into this world on February 17, 1991, which makes him 25 years old. By the way, Paris Hilton, a famous party girl, was born on the same day! Ed's hometown is Halifax, Yorkshire, the United Kingdom. However, he grew up in Framlingham in Suffolk. Yep, he's your classic English lad, with that hair and that cute smile that the ladies love so much. 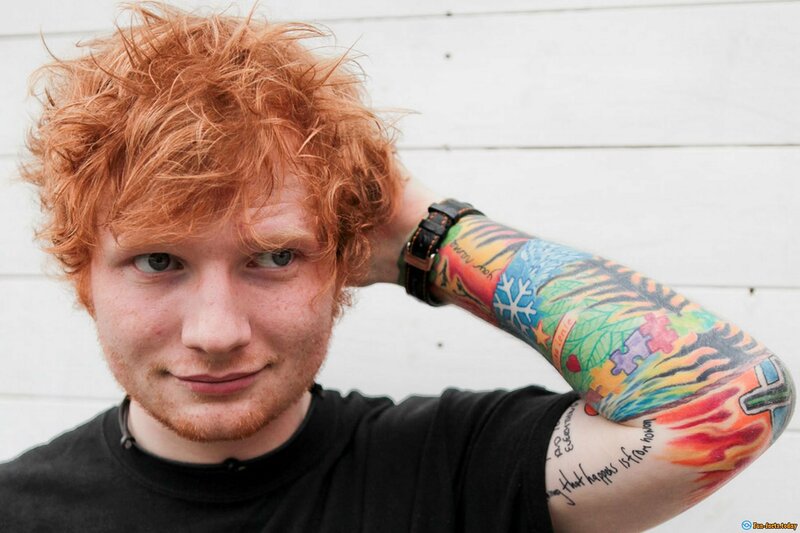 - Awesome facts about Ed Sheeran: He's got an older brother, Mat, who's 27 years old and is a classic composer. His dad's name is John, while his mom's name is Imogen. He's got English and Irish blood running through his veins. - Awesome facts about Ed Sheeran: He really loves to play the guitar and he learned to play it by himself at a very young age. In 2008 this guy moved to London to - yep, you're right - focus on his music career. Next year he performed on stage 312 times! I'm not sure how much money he made that year, but I can definitely respect the man for working hard! - Mr. Sheeran's debut single, "The A Team", managed to make it into the top-3 on the UK Singles Chart and sold 58K copies in the first week. Not bad for the first try, huh? Oh, and by the way, the video for the song cost Ed only 20 pounds! Back in 2012 the singer-songwriter took 2 Brit Awards home - "British Breakthrough" and "Best British Male". His debut album, "+", saw the light of day in 2011. - The video for one of his biggest hits, "Lego House", stars Rupert Grint (yep, Ron from Harry Potter). - Interesting fact about Ed Sheeran: when he was just 15 years old, this fella was accepted into the national Youth Music Theatre. 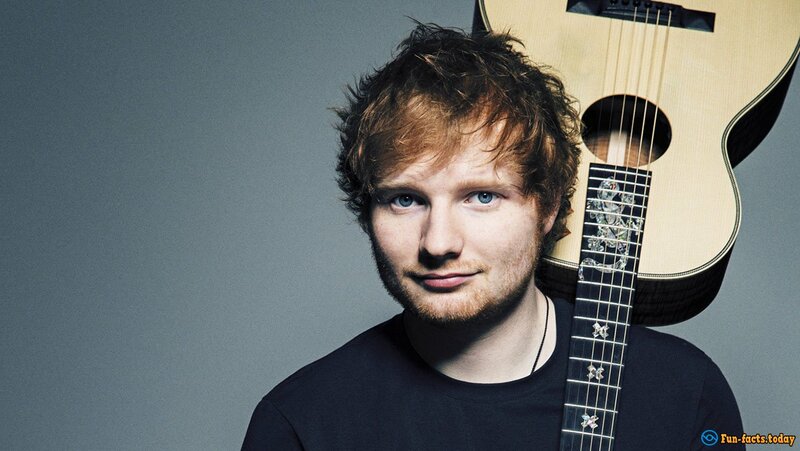 - Awesome facts about Ed Sheeran: He owns a ginger cat (her name is Bellini), auditioned for Britannia High once, an ITV series, and he got his first guitar as a gift (his uncle gave it to him). 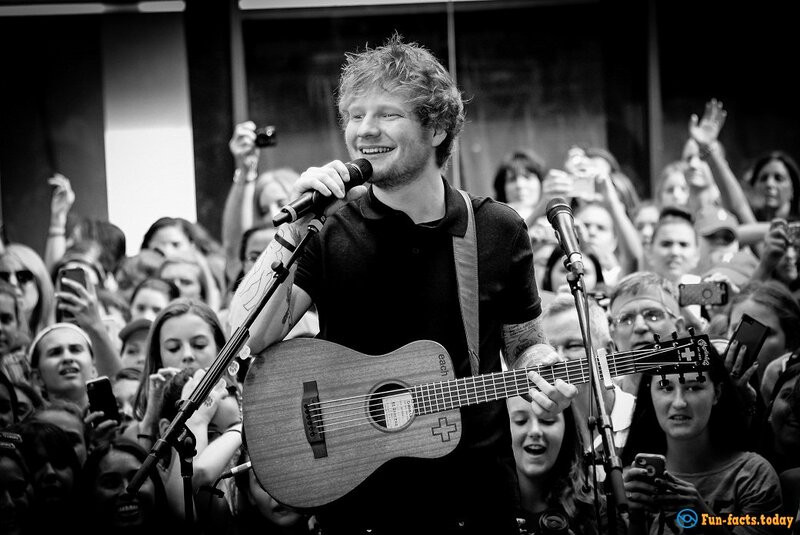 - Back in 2011 Ed released his EP that caught the attention of big stars like Elton John and Jamie Foxx. - Ed spent pretty much the whole 2013 opening for Taylor Swift's Red Tour. That same year he had 3 sold-out shows at the Madison Square Garden! Not a lot of superstars in the industry can do the same, not to mention up-and-coming artists. Furthermore, in 2015 he gave 3 sold-out concerts at the Wembley Stadium! It told you this guy is super-popular!